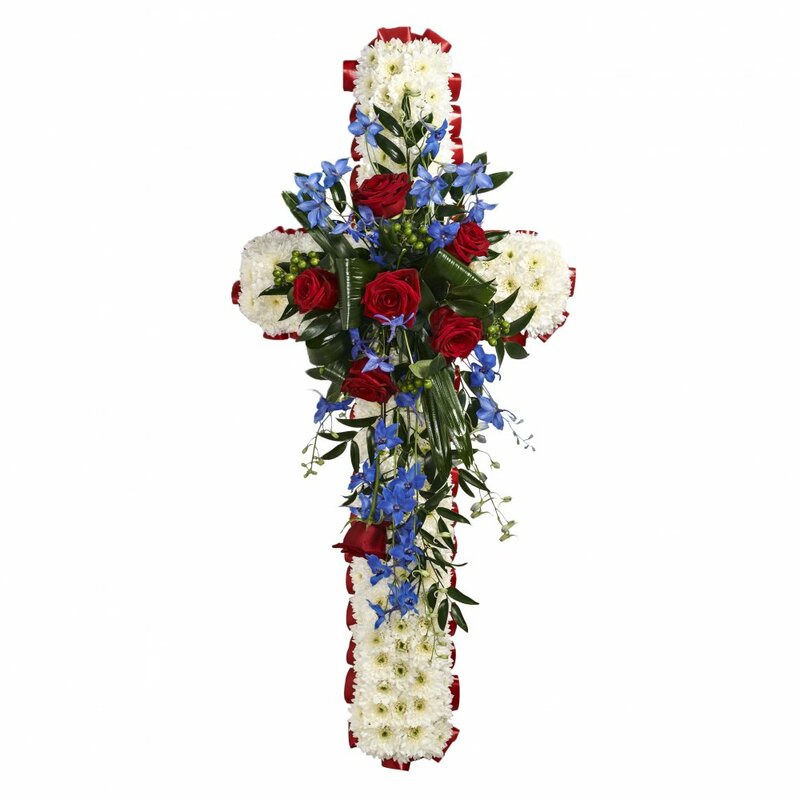 A funeral cross massed in white and edged in ribbon. With spray of choice flowers. Alternative colours available. 24" €80 / 36" €125 / 48" €170.